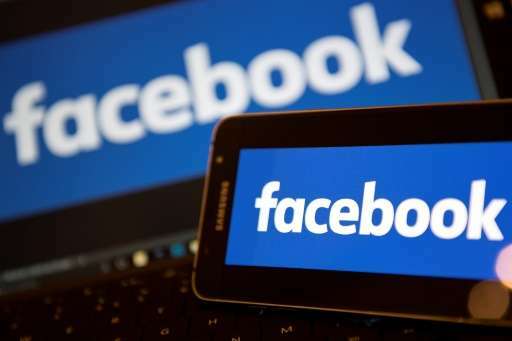 Social media giant Facebook announced Sunday that it will introduce new measures to combat fake news in Germany, as Europe's largest economy and most populous nation enters an election year. "It's important to us that the reports and news posted on Facebook are reliable," a blog post on the Silicon Valley firm's German website read. German politicians have warned that populist parties and foreign nations could use fake news to try and influence parliamentary elections slated for September or October. Facebook's new German initiative targets "unambiguously wrong reports" being shared on the social media platform. The firm said it would offer a simpler reporting process for users to flag suspected fake news, display warnings next to statements identified as false by independent fact-checking organisations, and cut off advertising revenue to fake news sites presenting themselves as real news organisations. Stories flagged with a fake news warning will not be eligible to be converted into an ad seen by other users or "promoted" into other users' feeds for a fee. "We think that independent and transparent fact-checking can be a powerful instrument for journalism," Facebook said. Nonprofit investigative journalism organisation Correctiv will be the first fact-checking partner in Germany, the firm added, saying that they are "confident" of adding other news organisations in future. Facebook's latest measures come just days after it announced the creation of a "Journalism Project" aimed at boosting the credibility of the information it circulates. Today it is called fake news. It really is a way of attacking the last remaining check on government tyranny, journalism. Someday soon after this, it will be reclassified as a treasonous act and no one will dare question it. Trash news has always existed and has a way of killing itself off. Suppressing news however is always a sign of governments not trusting the truth to get out on its own. The only way to deal with fake news/propaganda is to take humans out of the loop. AI developed and refined over decades will gradually learn how to discern and present facts devoid of bias. The news German citizens will read will rapidly become only that which the left wants them to read. Socialists, communists (but I repeat myself) and their fellow travelers at Facebook will see to it. I have a feeling it will ultimately fail, as all attempts at permanent tyranny do. That's how the USA got Trump and how The EU got Brexit. It's a fair bet that Germany's next. Because Facebook is now involved in ferreting out "fake news", this means it will only allow unfavorable "news" about the Trump administaration on it's website.